American musician and pop-singer who is best recognized as a member of the popular boyband calledf Why Don’t We. He is also a popular social media personality quite popular on YouNow with more than 100K followers. 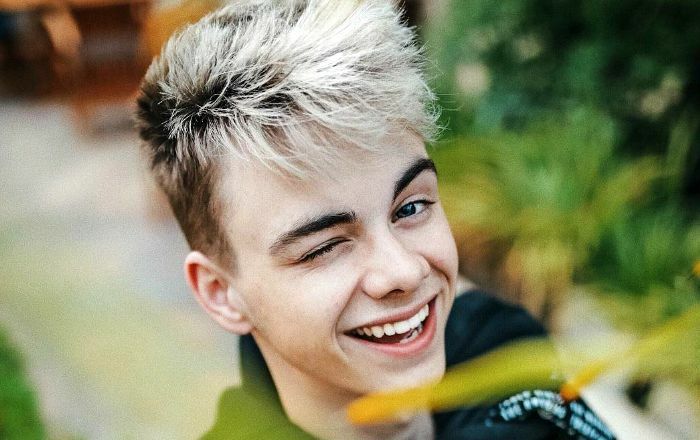 Corbyn Besson was born on 25 November 1998, in Texas, United States. We don’t have any information about his formal education. Corbyn Besson has been in relationship with fellow social media star, Christina Marie Harris who is popularly known as Beauty Chickee to her fans. His body specs like chest, biceps and waist aren’t avialable right now. He hasn’t acted in any film and TV show till date. As a part of the boyband, they released their first Extended Play (EP), Only the Beginning on November 25, 2016. singing is his main passion and has already released his solo single “The Only One” in 2014. Being the member of the popular pop boyband “Why Don’t We” which embarked their career in September 2016. The other four members of the music group are Jonah Marais Roth Frantzich, Daniel James Seavey, Jack Robert Avery and Zachary Dean Herron. His popularity on different social media platforms like Instagram where he has earned over 1.2 million followers. He has over 100 thousand followers on YouNow app. Though, there’s no formal information about the brands he has been affiliated with, he makes use of his popularity on different social media platforms to promote brands and products. He’s paid hefty amount of dollars for such works. For now, we don’t know how much is Corbyn’s net worth. But, he should be making a good living out of his boyband and other social activities. He lives in Los Angles. He has 460k followers on Twitter and 1.2 million followers on Instagram. He got his first guitar at the age of 12 and this he developed his interest in music. He soon embarked his musical career by making covers of popular songs by Justin Bieber and Taylor Swift. He cited Shawn Mendes, Justin Bieber, and Jake Miller are his musical inspirations. Besson goes skateboarding during his free time. His favorite merchandise includes hoodies, T-shirts, and bracelets.